Last Meeting, Wednesday, August 2nd - The night ride to The Porterhouse, went well with about six scooters enjoying a night run and six scooterists enjoying a beer at an Irish pub. Good to see new faces along with the old, and that more people a turning up for the monthly get together. 09.00 ... Meet ECA BAR, 128 Darlo Rd, Darlo. 10.00 ... Ride up the old road to Mt. White and then to the Brooklyn Pub for lunch. Note: Although there are only old British Bikes, this is a faster pace run that usual so anyone intending on going on a small CC scoot should make sure they know the route before they leave to avoid getting lost. Next Meeting, Wednesday, September 6th - No night ride is planned, you should have had it all out of your system on Sunday. There are a few things to discuss. We need to work out a plan for Nowra and let the Atomic scooter riders club know the numbers the next day. Other plans for the coming events listed in the next month section. Saturdays plan: Riders will leave Canberra at 9:30 am, pulling up at M&M's guesthouse in Nowra at around 5pm. Sundays plan: 9:30am departure for home. Details: $20 gets you a bed for the night at the Great Southern Hotel. Clean bunk style accommodation, sheets & towels etc. provided - this means all your scooter is carrying is you. You need to book for this one - to be sure of a bed call Nico at on 02 6282 6882 or email nico@cyberone.com.au. December 2000 - Coast to Coast Rally - When the Coast to Coast riders get to Sydney, they will need to travel separately (or in groups of two or three riders). This is a firm requirement of the NSW Police (applies to all drives from West Australia). Closer to the date we will be looking at seeing if anyone wants to help out as escorts to the people that don’t know Sydney that well. This would mean a ride out to meet the intrepid travellers and riding with them in smaller groups to Bondi... more details to come. 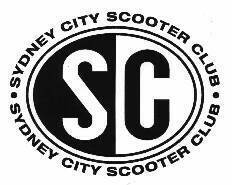 ***2001 Australia Day National Scooter Run*** - The MLC (Melbourne Lambretta Club) will be presenting the 2001 Australia Day National Scooter Run on Friday 26th January through to the 28th January @ Gellibrand which is in the Otway ranges above the Great Ocean Road. The venue is a site behind the Gellibrand Hotel and it is a popular place for clubs to organise specific events. There will be camping available behind the hotel with limited facilities and a caravan park near by with on site vans and tent sites. 3.30 pm Gymcarna - slow ride/blind fold ride etc - simple & safe events that will promote activity from every on interested. Again prizes will be available. A group departure time especially for those riding down the Great Ocean Road. more details and a flyer shortly.